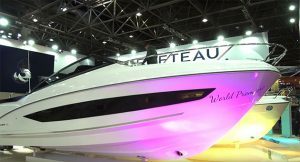 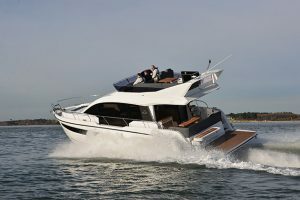 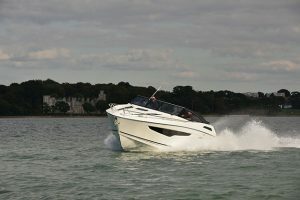 Soon after the Sunseeker Predator 57 was presented to the world at the London Boat Show, we raced down to Poole on a bitter winter’s day to see how the yard’s latest model faired out on the water, away from the bright lights of ExCeL. 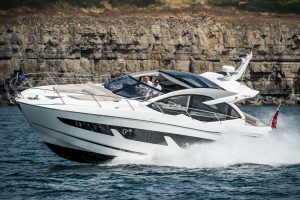 As much as the vast sunroof and clever disappearing doors transform the Predator 57 into a near fully open party platform, they also work in the opposite way to seal the saloon up tight and give you no excuse to avoid a winter blast. 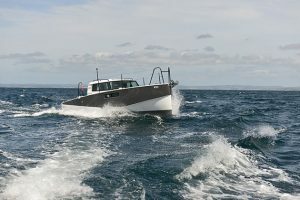 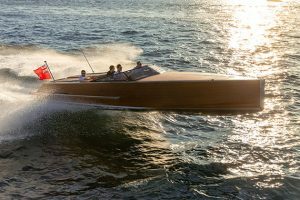 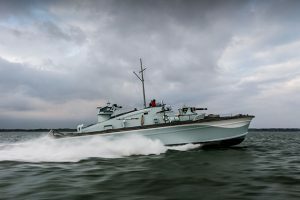 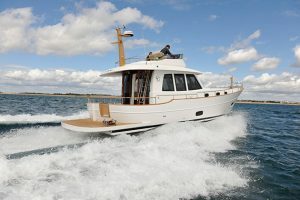 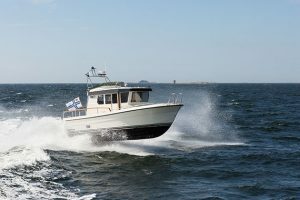 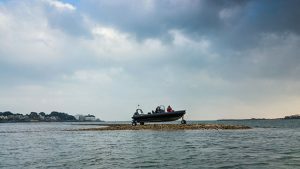 Our test boat was fitted with the largest pair of Volvo Penta D13 900hp engines on shafts, though you can have the same engines with IPS if you so choose. 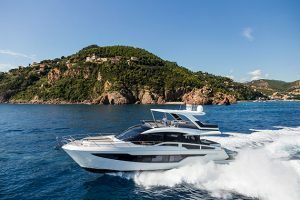 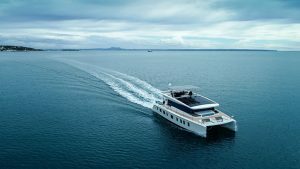 Below decks the full-beam master is the obvious show stopper but you must also take time to appreciate the quality of the build and Sunseeker’s attention to practical detail. 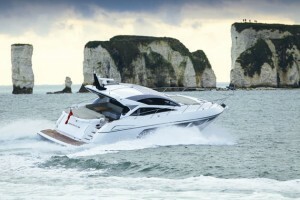 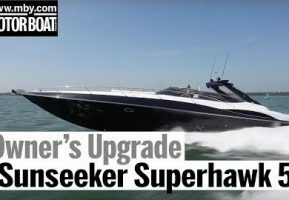 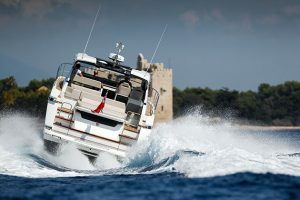 For the full boat report on the Sunseeker Predator 57 pick up the April 2015 issue of Motor Boat & Yachting, out March 5.